The appartment in the ground floor of Vila Kaneo is app. 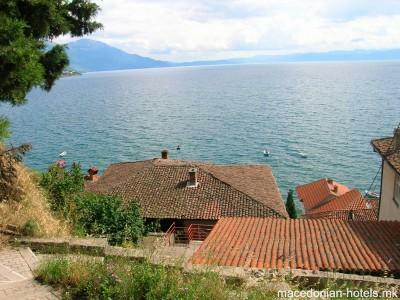 35 m2 and it is decorated in a traditional Ohrid style with many artifacts. 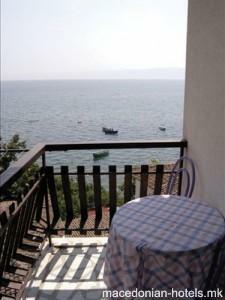 A big balcony overlooking the lake is at your disposal. 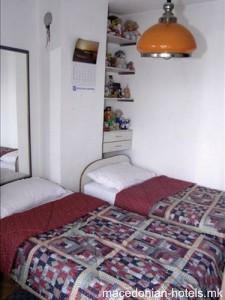 At the top floor of Villa Kaneo we also rent two other sleeping rooms, equiped and fully furnished. 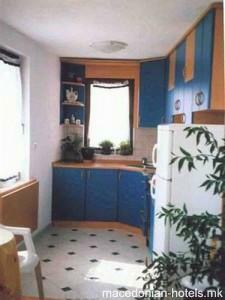 These two rooms use one bathroom and there is no possibility for food preparation. 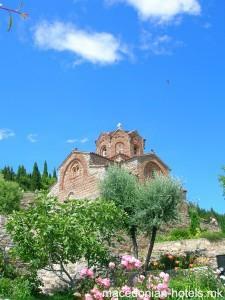 Each of these rooms have own balcony with a magnificent view to Ohrid Lake and the Church St. John-Kaneo. 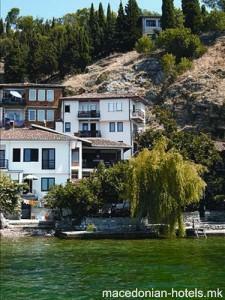 0.74 km distance from Ohrid main square. Online booking unavailable for Villa Kaneo.